When it Rains, Capture the Rain Water. When it Really Storms… Collect the Mulch!!! Making a living on an operating farm is a rewarding and gratifying pursuit. Sometimes it can be an exciting and challenging experience at the same time. Since we are now in the middle of our hurricane season I am reminded of Hurricane Matthew which hit us in October 2016. It was really as close to a direct hit as we could get where we were blessed to have been spared from 140 MPH winds which veered off the coast into the Atlantic just before landfall. Whew!!! After surveying the damage from the storm we were thankful that we escaped with minimal damage as many other farms in the area suffered large losses. 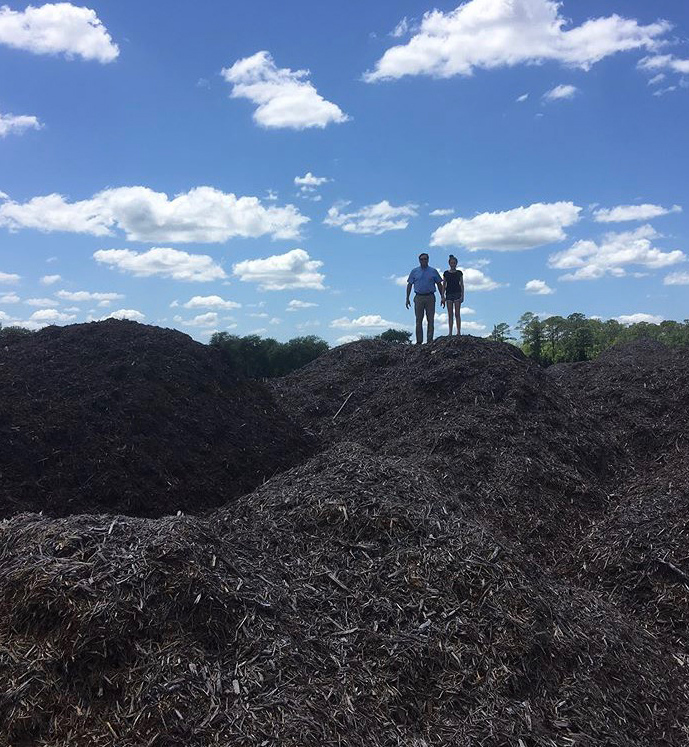 Several weeks after the Hurricane we were blessed again by gaining the opportunity to stock pile mulch from the downed branches and trees collected by FEMA throughout our county. As it decays, we will add it to our magnolia trees as it is a great base to increase natural organic matter into the soil. After getting all of the right permits we were able to haul approximately 2000 full dump trucks to The Magnolia Company Farm. 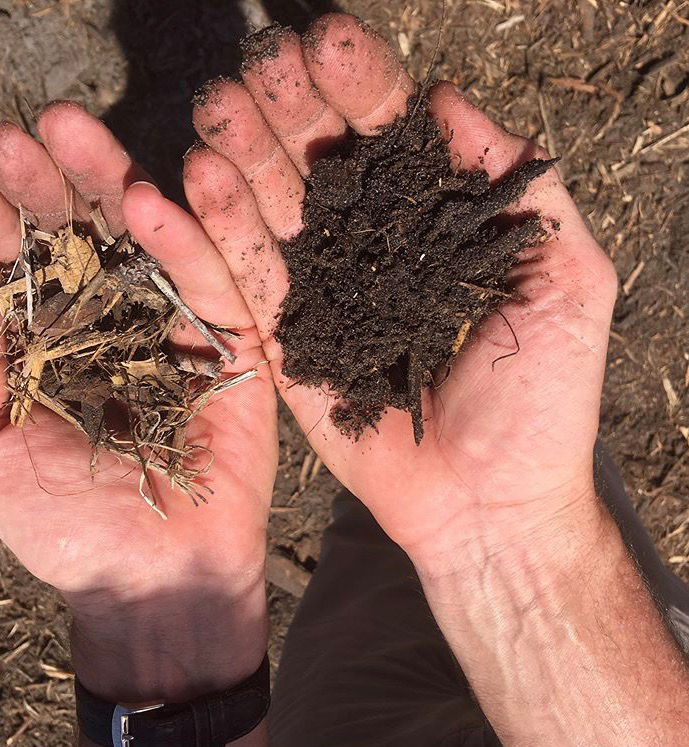 The image to the right above shows the rich base of organic soil that we will gain from the decaying mulch. This rich base will be used as a natural weed barrier, soil amendment and organic fertilizer. It will take between 18 and 24 months for the organic wood mulch to break down to use in the magnolia groves. Using this rich base we decided to launch our first grove of organically produced magnolia trees. This is going to be a great challenge and a long journey learning and applying different techniques to grow these selected magnolia trees in a more natural, organic way. The origin of these trees started back in 1998 when the two foot trees were planted on The Magnolia Company Farm. In October of 2016, we moved the hurricane mulch to this grove and then our family at Urban Forestry Works helped us by planting these 20 year old trees right next to the piles of mulch. Urban Forestry has a professional tree staff. Those guys are truly “Tree Ninjas” as they planted these mature trees over 25 feet tall with ease! What an experience to have 20 year old trees moved to this new organic site at The Magnolia Company Farm. Julie and I took a walk through the graceful, arching branches after the transplanting. It soothes the senses to walk through the cool shade in the middle of this summer heat! The surrounding wildlife has already been visiting the trees and some have decided to stay! 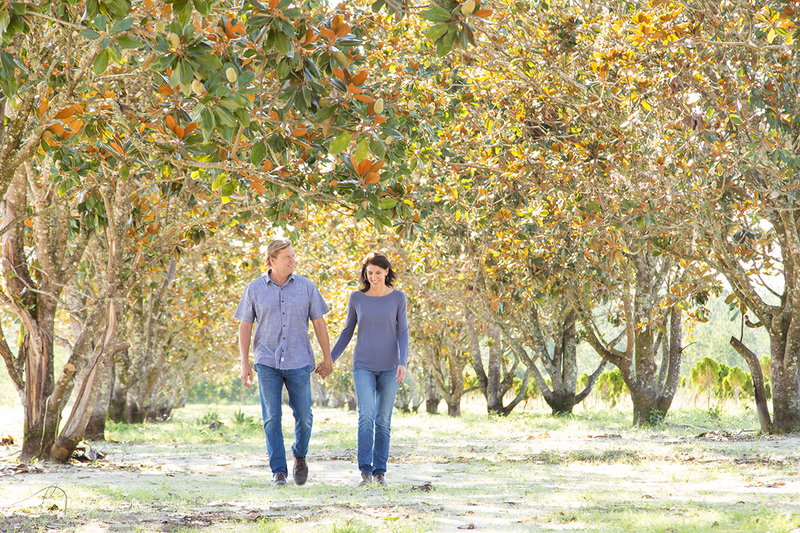 Stay connected and we will update you on our progress and the different natural and organic items grown at this natural grove of magnolia trees on The Magnolia Company Farm!